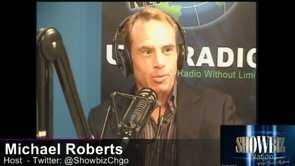 Showbiz Chicago Podcast With Hollis Resnik from the National Touring Company of SISTER ACT from Michael Roberts on Vimeo. Multi-Jeff Award winner Hollis Resnik talks about her role as Mother Superior in the National Touring Company of SISTER ACT. SISTER ACT is Broadway's feel-amazing musical comedy smash! The New York Post calls it “RIDICULOUSLY FUN,” and audiences are jumping to their feet in total agreement! Featuring original music by 8-time Oscar® winner Alan Menken (Beauty and the Beast, The Little Mermaid, Little Shop of Horrors), SISTER ACT tells the story of Deloris Van Cartier, a wannabe diva whose life takes a surprising turn when she witnesses a crime and the cops hide her in the last place anyone would think to look—a convent! Under the suspicious watch of Mother Superior, Deloris helps her fellow sisters find their voices as she unexpectedly rediscovers her own. Please note: performance schedule and ticket prices are subject to change. Individual tickets for SISTER ACT are $28-$103 and will go on-sale Sunday, Sep. 9, 2012 at 10 a.m. A select number of premium seats are also available. Tickets are available at all Broadway In Chicago Box Offices (24 W. Randolph St., 151 W. Randolph St., 18 W. Monroe St. and 175 E. Chestnut St.), the Broadway In Chicago Ticket Kiosk at Water Tower Place (845 N. Michigan Ave.), the Broadway In Chicago Ticket Line at (800) 775?2000, all Ticketmaster retail locations (including Hot Tix and select Carson Pirie Scott, Coconuts and fye stores), and online at www.BroadwayInChicago.com. For groups of 15 or more, call (312) 977?1710. Tickets for groups of 15+ are on sale now. Hollis Resnik Is Still Here!